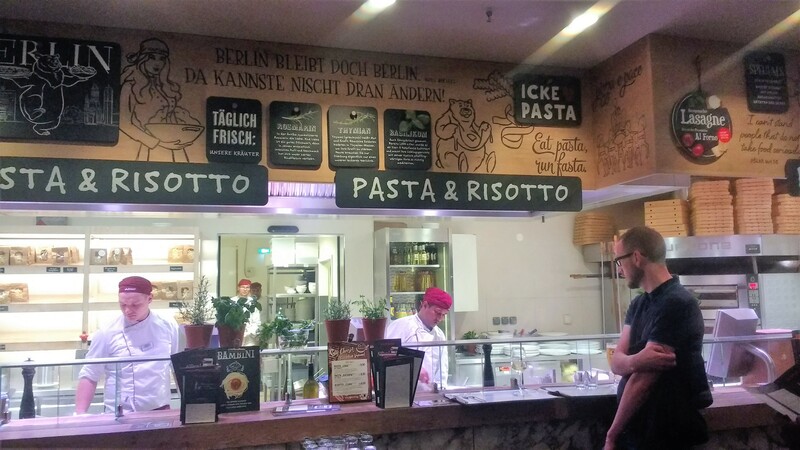 I recently visited Berlin for a quick city break and wanted to share my experience for any of you gluten free peeps hoping to get fed while on hols there yourself. 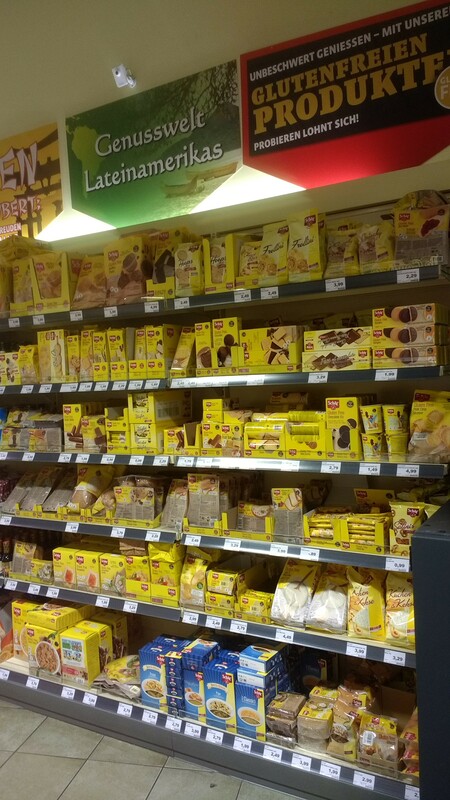 First off, I will be honest and say Berlin is not great for coeliacs. On every corner and in every subway station you will find shop after shop selling sandwiches and croissants but rarely a salad or a piece of fruit. I found in a lot of places when I questioned about gluten free it was met with confusion, it’s obviously just not that common to have coeliac disease or be eating gluten free. In two places I managed to get sandwich fillings without the bread but only after much conversation and incredulous looks from the server. That being said I did happen upon some gems when I got there, it’s just they were few and far between. I would strongly advise that you bring GF snacks and bread to keep you going, particularly on your day of arrival. I brought a fresh gluten free bread loaf and crackers from home which kept me going. I was able to find a huge variety of the Schar brand in the closest supermarket to my hotel so GF products are there if you need them. I had breakfast here in the cafe. 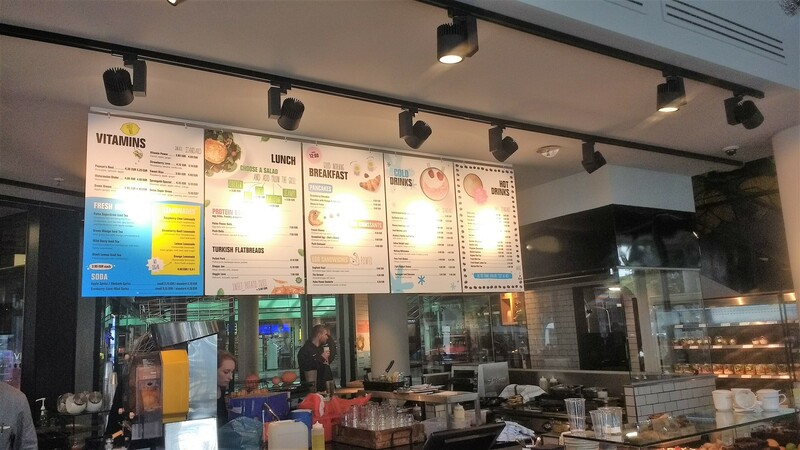 It’s a ‘healthy’ cafe with lots of fresh juices and avocados in just about every dish. I had a breakfast sandwich without the bread (after much discussion) as I had my own with me. Unfortunately, despite me even knowing the german for ‘no bread please’, it also came missing the bacon but I was just so happy to get some food I didn’t care. I had a lovely fresh juice too so was set up for the day. This was a fantastic find, right behind the Hitler’s bunker area (ie. a carpark) – what a location! 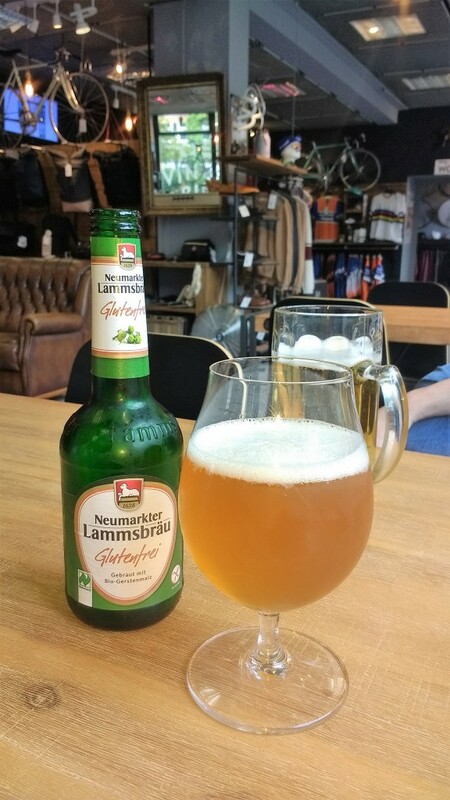 As well as gluten free sandwiches, they also had gluten free beer. 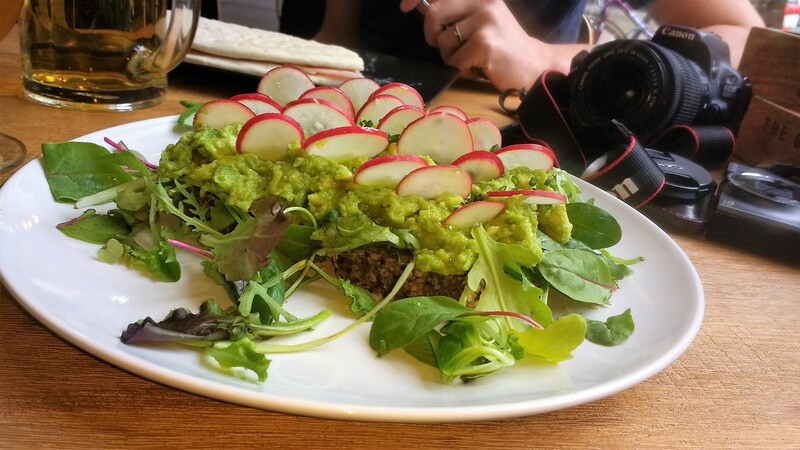 I had the avocado smash with chive and radish on seeded GF bread. It was delish. 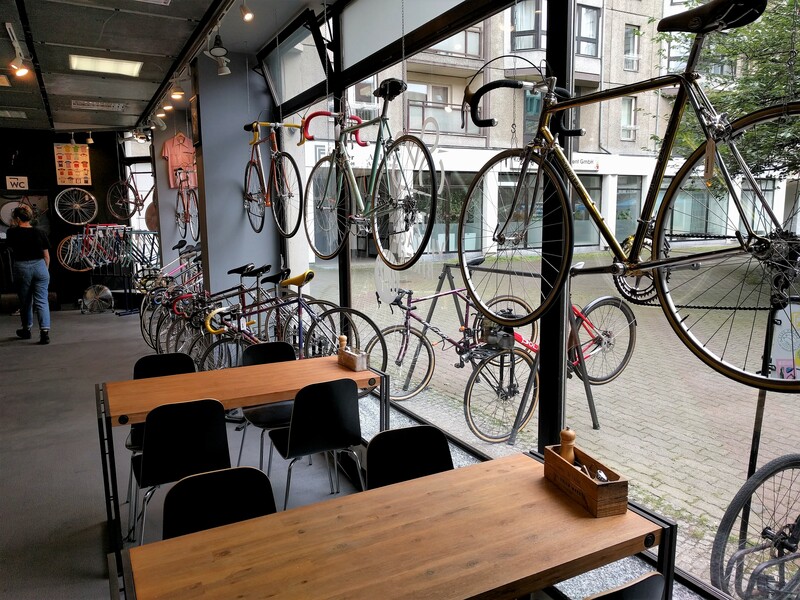 The main draw for my husband was the bicycle shop side so it was the perfect place for us to stop for some lunch. There’s a nice vibe here. Another random but amazing find was this place. I’d liken it to Milano or Zizzi in Ireland/the UK except you order directly with the chef who cooks up your dish at the counter. They have super GF knowledge, it’s all over the menu. They do GF pizza and pasta but I went for a mushroom risotto. It was fab. Great value too, for 2 mains, a beer, bottle of San Pelligrino and a nice glass of Riesling it was €33. 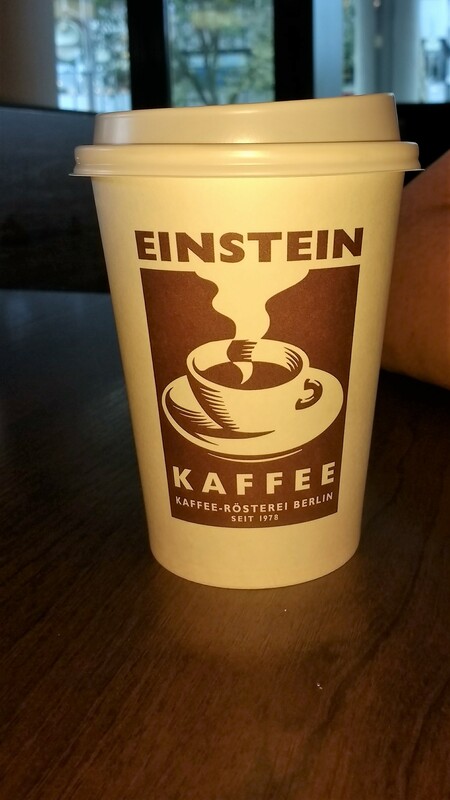 Einstein Caffe – Appears to be a German Chain and the coffee is really good, it also opens late and serves wine and beer – what’s not to like! Monkey Bar – Located in the 25 Hr Hotel in the Bikini complex, this is a rooftop bar which gets it’s name from the fact that it overlooks the Monkey enclose in Berlin Zoo. It’s v popular and apparently absolutely jammers in the evenings. We went for a drink on our way back to our hotel to chill out after a day of sightseeing and it was perfect. They do bar snacks and apparently are GF friendly although I didn’t partake. It’s a bit more expensive here but you’re paying for the view and the hype. A place we tried that is known to be good for coeliacs but I wouldn’t recommend is Katz Orange, a German restaurant. They handled the GF side of things just fine, the food was just a bit mediocre for the prices charged. 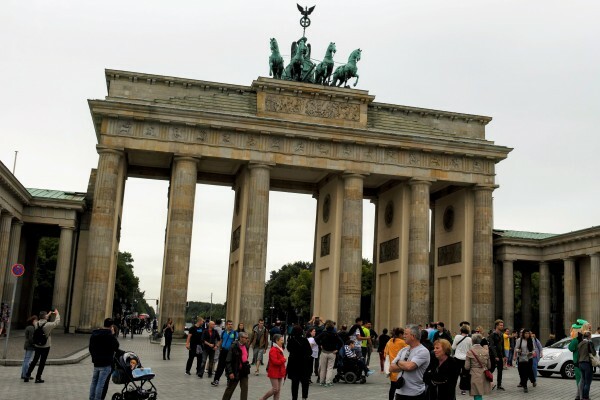 It isn’t bad, I just wouldn’t go back there myself. The restaurant itself is very cool, in a hidden location off street and was absolutely buzzing when we were there.